No, not consumed yet, will check it out! Just can't help thinking so much of what Prada is is to do with the immediate time and place than with this greater historical thread? This is a very thought provoking article! Thanks for your graet insight! Wonderful article! 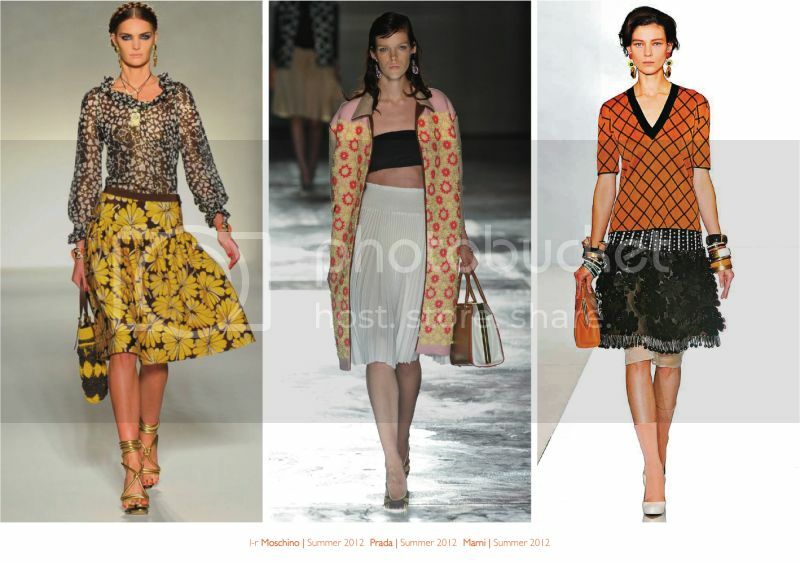 I would never have grouped Moschino with Prada and Marni but seeing them together makes so much sense! 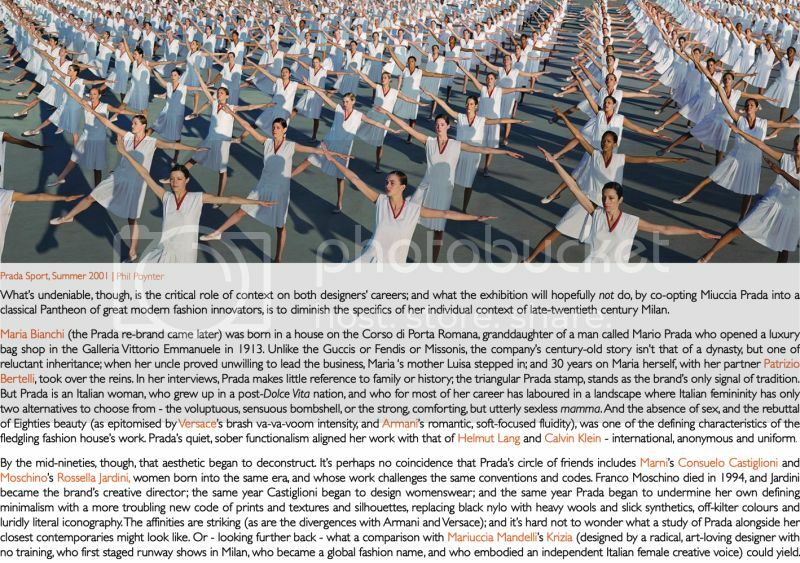 Although for me, Consuelo is the only one of the three who is consistently successful; while I love the odd Prada collection, most of it falls flat IMO. Thanks for the comment! Milan is such a small city, at the end of the day, and operates in such a specific cultural context, that I can't believe they don't affect each other. And I'd happily write off half of Prada's collections - and yet cumulatively, despite myself, I'm starting to give in to the overall ambition of the enterprise. And I know, I get regular tickings-off for not using basic Internet common sense!! Am aiming to get text-only versions of all the essays online separately in the near future. Such a great article! Was so interesting to read! i really enjoy with this post! You have such a great blog! Really interesting and makes you think about what you're saying.